WASHINGTON, D.C. — This Fourth of July marks a low point in U.S. patriotism. 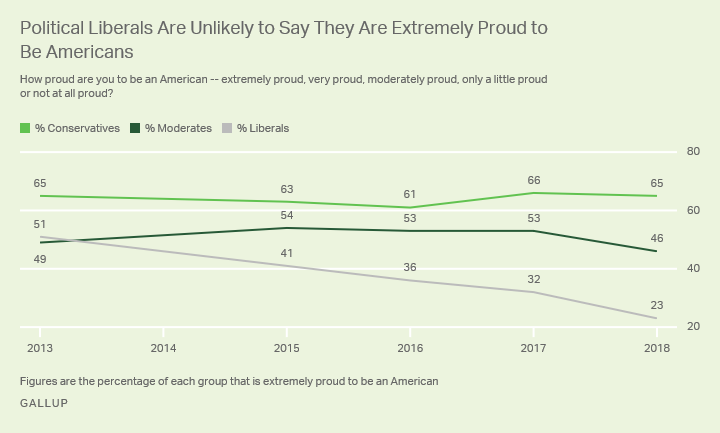 For the first time in Gallup’s 18-year history asking U.S. adults how proud they are to be Americans, fewer than a majority say they are “extremely proud.” Currently, 47% describe themselves this way, down from 51% in 2017 and well below the peak of 70% in 2003. 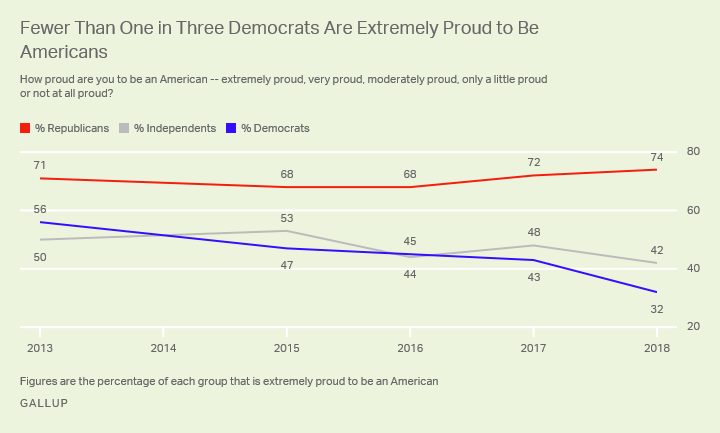 The combined 72% who are extremely or very proud to be Americans is also the lowest in Gallup’s trend. Other demographic differences in national pride largely reflect the political leanings of U.S. adults. Young adults, college graduates, nonwhites and women — all Democratic-leaning groups — are below the national average in terms of being extremely proud to be Americans. Meanwhile, older adults, those without a college degree, whites and men — who are more Republican-leaning — are above the average. 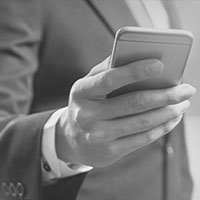 Fewer than half of U.S. adults are extremely proud to be Americans, something that had not been seen in the prior 17 years Gallup has asked the public about its national pride. Politics appears to be a factor, with sharp declines evident among Democrats and political liberals and no decrease among Republicans and conservatives. Left-leaning groups’ antipathy toward Donald Trump and their belief that other countries look unfavorably on the president are likely factors in their decline in patriotism, particularly the sharp drops in the past year. But the declines began before Trump was elected. National pride may be just one of a growing number of issues — including opinions about guns, labor unions and the environment — for which party loyalties are pushing Democrats and Republicans to adopt divergent views. These changes are making each party’s base more homogenous but increasingly different from one another. How about a poll on the level of shame in being an American? What are they proud of? I can’t think of anything right now that I would be proud about.